The Department of Accounting and Data Analytics, led by Professor Axel K-D Schulz, is one of four Departments that constitute La Trobe Business School in the College of Arts, Social Sciences and Commerce. Combining high quality research, teaching and business and community engagement our strengths are in areas including but not limited to corporate governance and disclosure, sustainability and social responsibility accounting, management accounting and organisational change, and public sector and not-for-profit accounting. 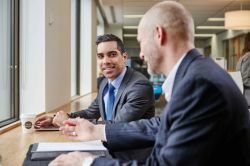 La Trobe Business School is a community of students, academics, and professionals committed to enhancing business learning through education and research which is innovative, responsible and engaged. Workshops to develop skills in CV writing and interview preparation specifically tailored to accounting work practicum students. The Department of Accounting and Data Analytics seeks to ensure that teaching and research is responsive to industry and market demand, relevant and competitive. We actively support and promote 'Global Citizenship' as a La Trobe Essential and the Internationalization of the curriculum, promoting inbound and outbound study tours and mobility in collaboration with our international partners. Moreover, a range of La Trobe's accounting courses are accredited by CPA Australia and Chartered Accountants Australia and New Zealand (CAANZ), as well as being recognised by other professional groups such as the Institute of Public Accountants (IPA), the Association of Chartered Certified Accountants (ACCA) in the UK, and Chartered Institute of Management Accountants (CIMA) in the UK.